The systematic dis-investment in safe places to walk and bicycle has had a tremendous impact on the health of the 50% of Missourians who live in communities in rural and outstate Missouri. We have been talking about this health and investment disparity for years. But this year, I dug into the data from the Missouri Department of Health and Senior Services, the U.S. Census, and other data sources to really show, definitively and through the data, that rural and outstate Missouri realliy does have lower access to safe places to walk and bicycle, and that really does have devastating health effects on these communities. This is a clarion call to leaders and politicians in Missouri, to citizens, and to groups like ours that advocate for more, better, safer places to walk and bicycle: Rural Missouri wants and needs better, safer places to walk and bicycle. Slides, notes, and data below are from a session at the National Bike Summit in Washington DC in March, 2016. This article summarizes that presentation, which can be downloaded as a powerpoint file or PDF file. Notes in the powerpoint file indicate the source of data and charts/maps, photos credits, and so on for each slide. When we talk about rural and outstate Missouri, who are we talking about? Is it a large or a small population? A major or minor part of the state of Missouri? All of the bicycle and pedestrian facilities, connectivity, and benefits we have brought to large and suburban cities and towns in Missouri, we can also bring to rural and outstate communities. This directly serves the 85% of population that lives in and near these towns, and indirectly serves the remaining 15% that depends on these towns for services and frequently visits. The myth is that most of the rural population lives out in the countrysideand works on farms. Reality is that the vast majority live in & around rural towns and communities, and even those who live in the farms and in the countryside depend on the towns for their services and visit them often. People who live in the countryside tend to move into town as they pass retirement age, meaning that smaller, rural, and outstate communities are responsible for a larger than average proportion of elderly, disabled, and no-car households. Looking at the graph, you might assume that rural Missouri has no interesting in bicycling, larger Missouri cities have a little bit of interest, U.S. cities have a little more, and world cities have even more. But a little historical background puts this in perspective. In the 1970s, bicycling in the world cities looked about like Missouri cities are now. The red bars we see now for Amsterdam, Copenhagen, and Berlin are the result of 40 years of work. U.S. cities like Portland, Minneapolis, and Salt Lake City started putting major effort into bicycling in the 1990s--and now we see the results. Around the year 2000, Kansas City, St Louis, Springfield, and Columbia all had very low amounts of bicycling--similar to what we see in Rural Missouri today. But during the 2000s, all those cities developed and interest in bicycling and started developing their bicycle routes and trail systems. In 10-15 years they have made tremendous progress. The same interest we saw in the larger Missouri cities in the 2000s, we see in rural and outstate Missouri communities today. They want to develop bikeways, trails, sidewalks, and crosswalks so that their citizens have safe, convenient places to bicycle and walk. 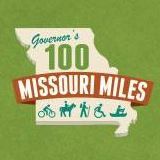 The time for rural and outstate Missouri to move forward vigorously for better bicycling and walking is--now! No sidewalk,no crosswalk, no bike lane, no trail, no park. No place to walk or bicycle safely means people won’t do it. That’s the situation in rural Missouri and rural America. All of these health impacts are linked directly to lack of physical activity and exercise--which, in rural Missouri, is linked directly to the lack of safe places to walk, hike, run, and bicycle. The number one most effective way to reduce motor vehicle crash rates is to replace motor vehicle trips with something else--walking, bicycling, or transit trips. "That's impossible in rural Missouri," you say. "When you have to drive 10 miles from farm to town, or 30 miles to go shopping in a bigger town, that is just too far to walk or bicycle." True. But recall that 85% of rural Missourians live in or very near a rural town. Everywhere in the U.S.--including in rural Missouri--many trips are made in one's own neighborhood and town. And rural towns are just the right size and and density to be perfect for bicycling, walking, and transit. If we give people safe places to walk and bicycle, they will start to make that choice more and more often--especially for trips that are just 1 or 2 or 4 or 5 miles. The maps below show different health and demographic factors. Compare these maps with the Missouri population density map above. Are issues and problems happening in urban areas or rural areas? Or perhaps, some of both? Which areas have the highest, and which the lowest, rates of physical activity and exercise? The areas with the lowest rates are almost all in rural Missouri. This ties in closely with the data shown above, indicating that citizens in rural Missouri have far less access to safe places to walk and bicycle. The map above makes the next connection--that the low availability of safe places to walk and bicycle translates directly into lower rates of physical activity and exercise. Now this map makes the next key connection: The lower rates of physical activity and exercise are directly correlated with higher rates of obesity. Many rural counties and communities are grappling with poverty as well--meaning that individuals have fewer options for transportation and for physical fitness and exercise, if basic infrastructure like parks, trails, sidewalks, and crosswalks is not available. People living at or near the poverty rate can't just purchase a gym membership to make up the difference. At the same time, cities and counties with high poverty rates are often impoverished themselves. The don't have the money in the city budget to retrofit dozens or hundreds of miles of roads with sidewalks, crosswalks, and bikeways. And they get a triple whammy when MoDOT rolls into town with plans to work on the major roads through town. These MoDOT roads, where businesses, retail, schools, government buildings, and other high-value destinations cluster, are often the most important roads in town for bicycle and pedestrian access. But historicially--and still, often, in the present--MoDOT has asked cities and counties to chip in a major part of the cost of any bicycle or pedestrian facilities on MoDOT roads through town. This is a cost that larger cities can often bear, but smaller, rural communities often cannot. Rural communities need ADA accessible sidewalks, crosswalks, retail areas, and transit systems to meet the very real needs of their citizens with disabilities. Citizens with disabilities and senior citizens often want to move close to the city center in the areas where they live--putting pressure on these communities to create enough accessible housing and also access to shopping, medical care, church, and other needed services for these residents. People who live in walkable, transit-accessible communities can age in place and live independent lives for many more years than they otherwise could. The myth is that only Missouri's large cities have a large minority population. Reality is that numerous places across Missouri have significant minority populations. The point of looking at all these different demographic breakdowns of Missouri's populiation, is that we have an idea that rural communities consist of some special population that doesn't need to walk or bicycle and doesn't need access to public transit. Everyone in rural Missouri can drive, right? Because otherwise, how do they get anywhere? But looking more closely, the rural population starts to look just about like the population anywhere else. There are people to young to drive and people too old to drive. Some people have disabilities that make ADA accessibility very important. People want transportation choices in rural Missouri, just like people everywhere do. And some people need those transportation choices, just to survive. As we saw above, the traffic fatality rate in rural Missouri is double the rate in the major metro areas. This is a serious public health issue in Missouri--and one that we can address fruitfully. Like the overall traffic fatality rate, the high rate of pedestrian fatalities in many rural Missouri counties is a surprise to most. The county with the highest pedestrian fatality rate in all of Missouri is a rural county. This, again, highlights the need for better facilities and better safety for pedestrians in rural communities across Missouri. Rural Missouri needs and wants safe places to walk and bicycle for all the same reasons our largest cities and suburbs do. The progress of Complete Streets policies across Missouri since the early 2000s has been a huge success story in Missouri. But--have Complete Streets policies marched across all parts of the state equally? Or are they concentrate in the large urban areas? Warsaw, Missouri, is one small rural town that is defying the trend. In January 2016, Warsaw became one of the first rural communities in Missouri to adopt a sweeping Complete Streets policy. It also--by no coincidence--shows up as a bright purple dot on the Strava bicycling heatmap. How did a small rural town of 2100 do it? If Warsaw can do it, any Missouri community can do it. And today, many are starting that work. Now is the time to bring bicycling and walking to rural and outstate Missouri. The need is clear and the time is right. The Missouri Bicycle and Pedestrian Federation--with many invaluable allies all across Missouri--has been part of the revolution that has brought bicycling and walking to cities and towns across Missouri over the past 20 years. Now we want to continue to press forward in Missouri's large cities and suburban areas, continue our work with MoDOT, Missouri State Parks, and the Missouri legislature in Jefferson City, and also accelerate our work in these rural areas across Missouri. Building a world-class bicycle and pedestrian network across Missouri, improving safety for all road users, encouraging more Missourians to bicycle, walk, hike, run, and use trails more often, and building a powerful statewide movement in support of bicycling, walking, and trails are the four primary goals of MoBikeFed's Vision of Bicycling and Walking in Missouri. Rural and outstate Missouri needs that vision just as the larger cities and metropolitan areas do. Will you help us have the capacity to reach our goals? Your ongoing membership, sustaining membership, Yellow Jersey Club membership, or special one-time donation all help us turn our Vision into reality. Health in Rural Missouri: Biennial Report 2012 - 2013, Missouri Department of Health and Senior Services, Office of Primary Care and Rural Health. Summary and highlights here. Missouri 2013 Statewide Comprehensive Outdoor Recreation Plan (SCORP). Summary and highlights here. » Next story: ALERT: Will bike/ped be included on the Champ Clark Bridge replacement, crossing Mississippi River near Louisiana?